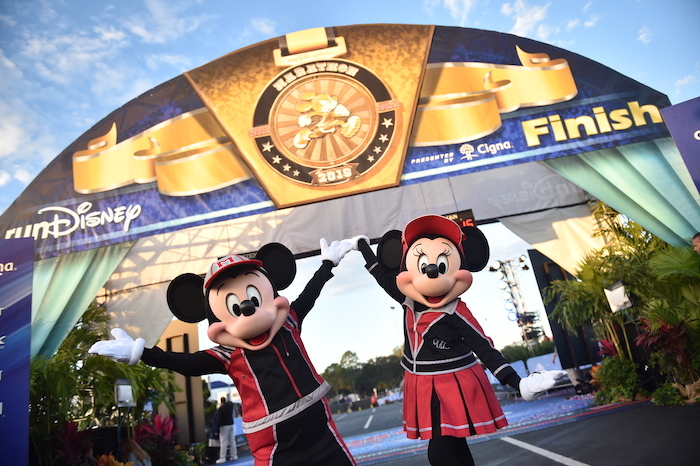 This past weekend, runners from all over the world participated in the 2019 Walt Disney World Marathon. Here are a few notable runners who inspired us! 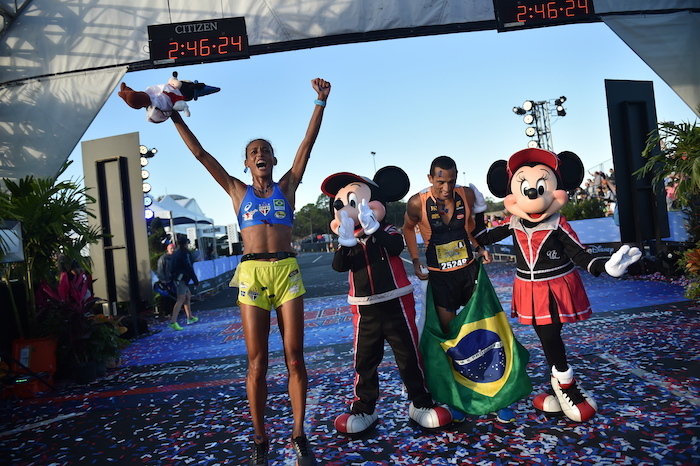 Fredison Costa and Giovanna Martins, both natives of Brazil, each took home a win at the 2019 Walt Disney World Marathon. Fredison Costa is the first runner to cross the finish line at the 2019 Walt Disney World Marathon. Photo courtesy of Disney. Costa (2:18:45) was the first runner to cross the finish line, earning him his seventh Walt Disney World Marathon victory. He is only one win behind Adriano Bastos’ record of eight wins. In second place was Nick Hilton (2:21:48) from Arizona, and in third was Jose Lima (2:26:40) from Brazil. Giovanna Martins is the first woman to cross the finish line at the 2019 Walt Disney World Marathon. Photo courtesy of Disney. Martins (2:45:24) was the first woman to cross the finish line, making her the first woman to win four Disney marathon titles. 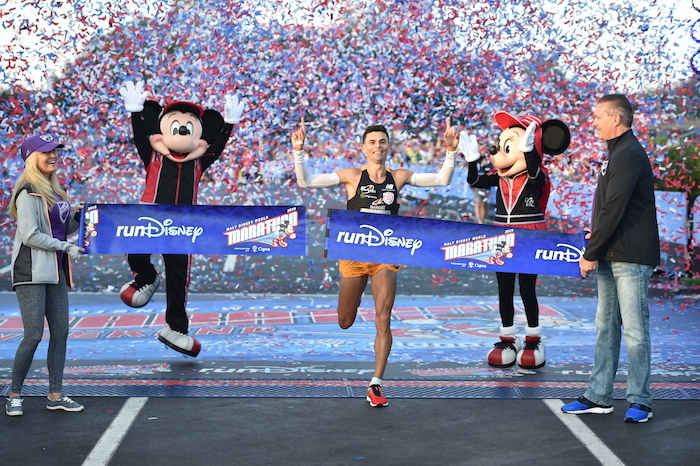 This was her third Walt Disney World Marathon win in a row. In second place was Antonia Lins Da Silva of Fortaleza (2:47:36) from Brazil, and in third was Nancy Jurgens (2:50:39) from North Carolina. 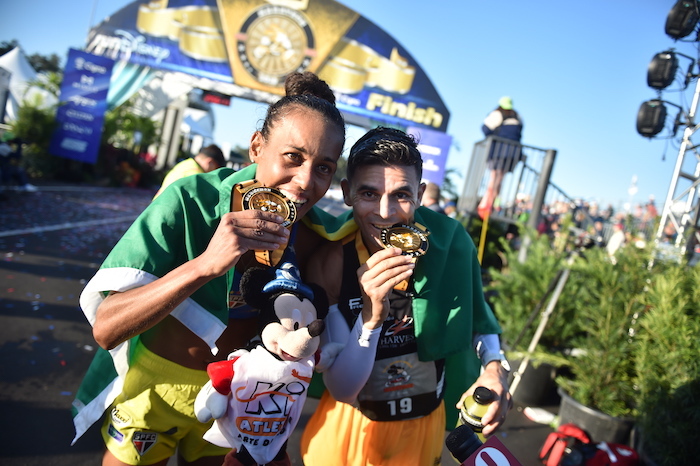 Giovanna Martins and Fredison Costa pose with their medals at the 2019 Walt Disney World Marathon. Photo courtesy of Disney. Be sure to check out our Instagram stories for a live look at this year’s Walt Disney World Marathon! You might remember our post about Debbie Rogers, who ran the 2018 Disney Wine & Dine Half Marathon with one lung. Well, we have another inspiring story for you! Last year, Ron Wertley completed the Dopey Challenge — a challenge that requires runners to complete the 5K, 10K, half marathon and full marathon all in one weekend. Shortly after the race, he was diagnosed with acute lymphoblastic leukemia and given a 40-percent chance of survival. After undergoing aggressive chemo treatments for nearly a year, the cancer was declared to be in remission. Through all this, Wertley continued to train again for this year’s Dopey Challenge. However, this December brought devastating news to Wertley: his cancer has returned. In order to combat the disease, he will need to stay in the hospital for 30 days to undergo another aggressive chemo regimen. This news did not deter Wertley, and, with the support of the Leukemia and Lymphoma Society’s Team In Training, he was able to complete his fifth Dopey Challenge this weekend! Congratulations on completing the Dopey Challenge, Ron! We wish you the best as you begin the road to recovery once again! 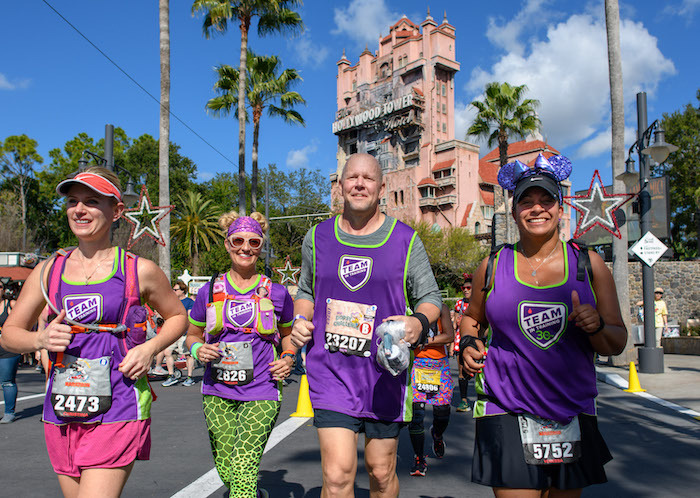 Ron Wertley completed the Dopey Challenge at the 2019 Walt Disney World Marathon after being diagnosed with cancer for the second time. Photo courtesy of Disney. Want more Walt Disney World? Subscribe today!